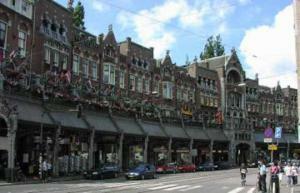 Hotel Aspen, Amsterdam discount hotels and accommodation. Hotel Aspen is situated in the centre of Amsterdam, between the Royal Palace on Dam Square and the Anne Frank Huis, and is situated within walking distance from all the cities main tourist attractions, museums and shopping districts. View photos, room descriptions and make online reservations at Hotel Aspen. Save on room prices at Hotel Aspen, Amsterdam.